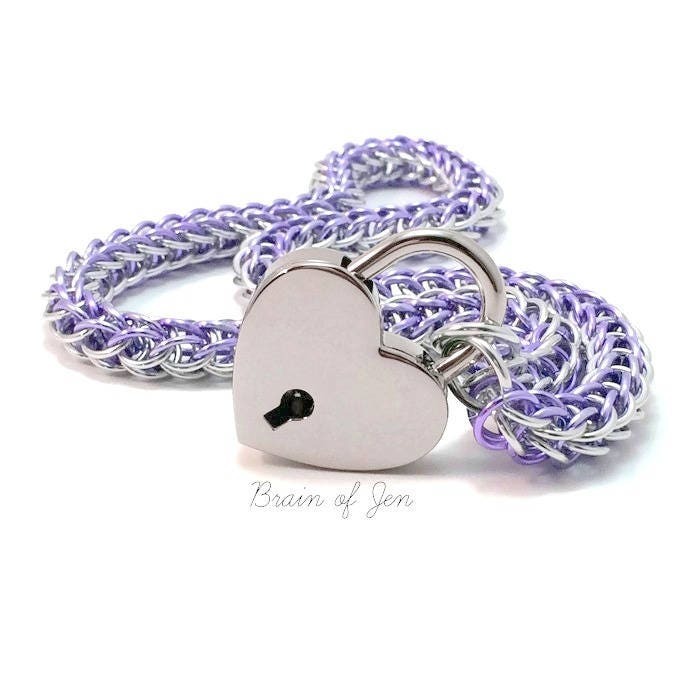 This bold, chunky chainmail choker is woven carefully by hand one ring at a time, using silver and lavender purple anodized aluminum rings in a Full Persian, or Fox Tail weave, with a large polished nickel silver heart shaped padlock closure at the front. 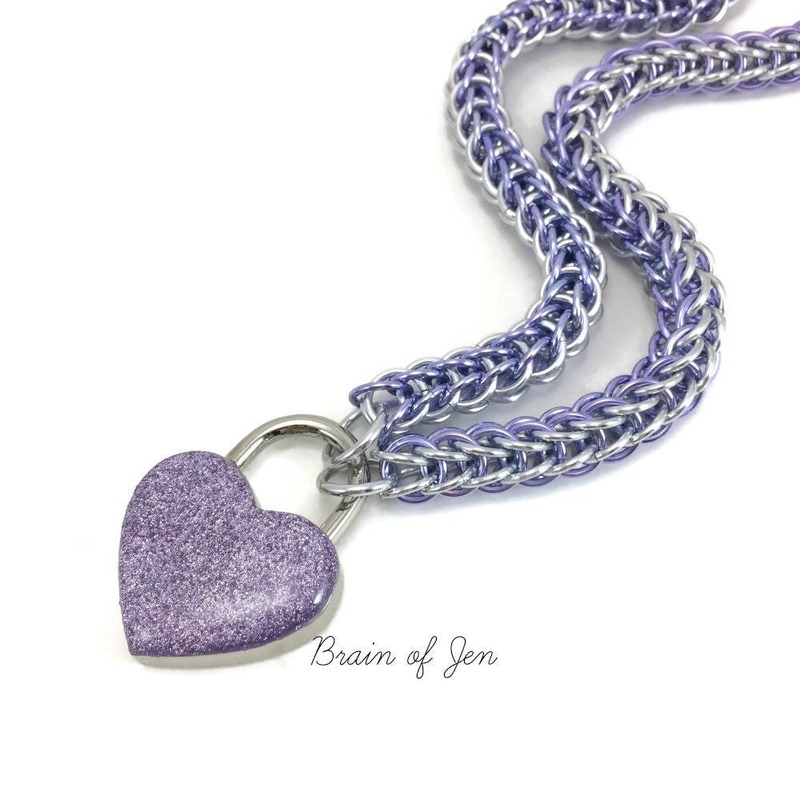 The lock is reversible, you can have the keyhole showing at the front, or flip it over to reveal the back which has been decorated with a lovely light purple enamel with a gorgeous druzy gemstone-like sparkle unlike any other. 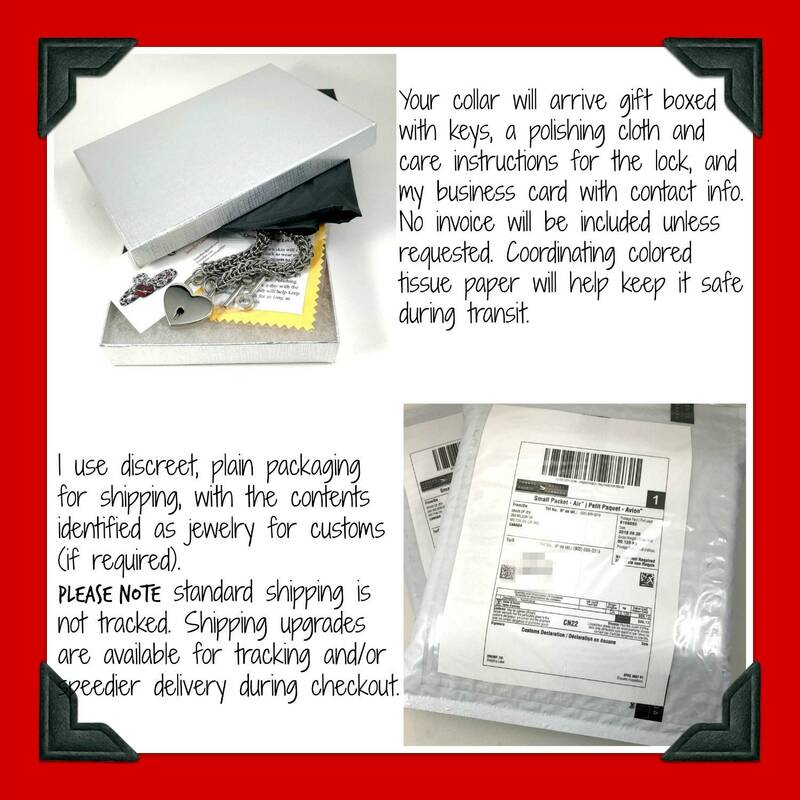 The lock measures about 1 1/4", or 30 millimeters, and comes with two keys. 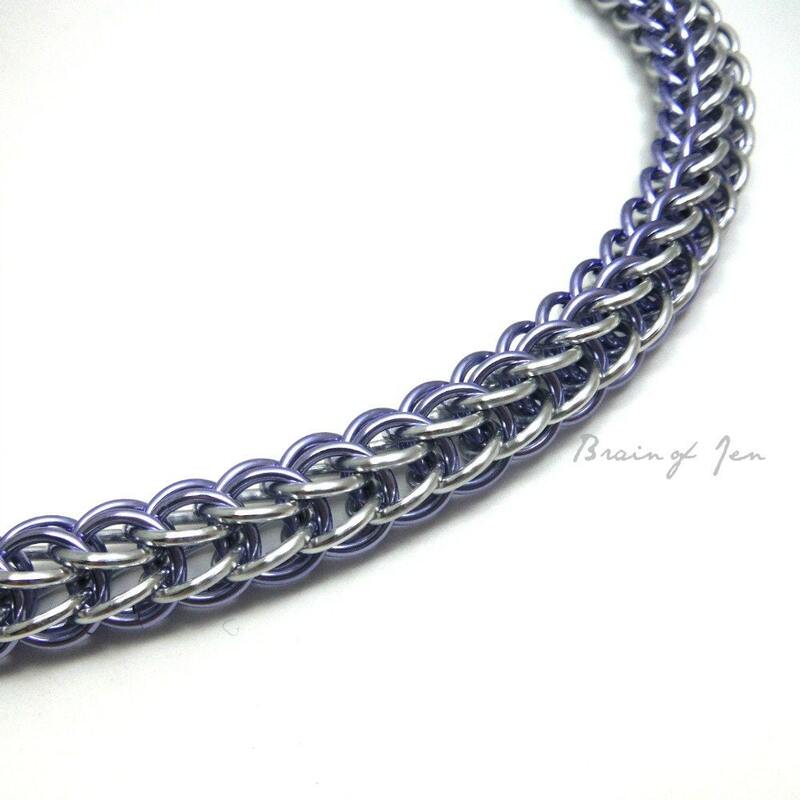 Because it is made with aluminum, the chain is incredibly lightweight & comfortable, and will never tarnish. 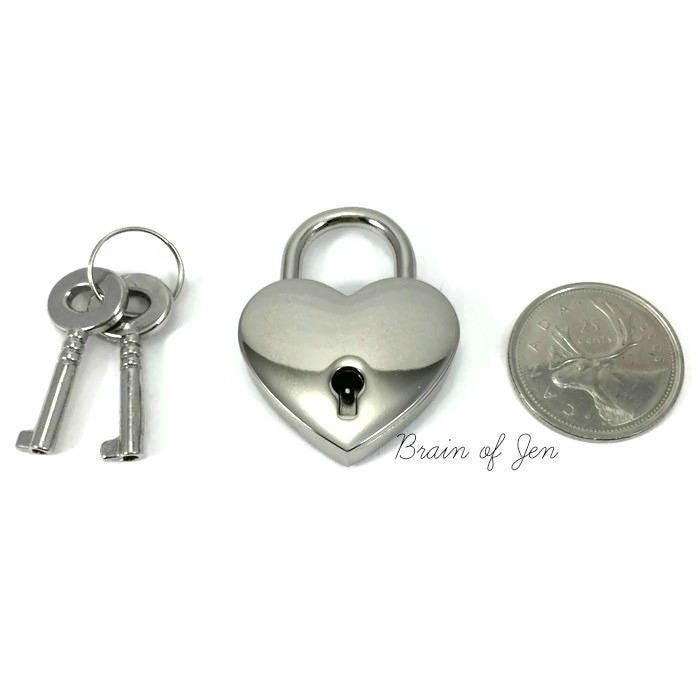 If you have a nickel allergy, please let me know & I'd be happy to add a resin coating to the back of the lock as well, at no extra charge!